EU 2020 targets that 20% of higher education students should be mobile during their studies, resulting in a challenge to all Higher Education Institutions as student mobility often generates time-consuming tasks. One such task is the administration of students in joint programmes and when a joint, multiple or double degree is expected to be issued. 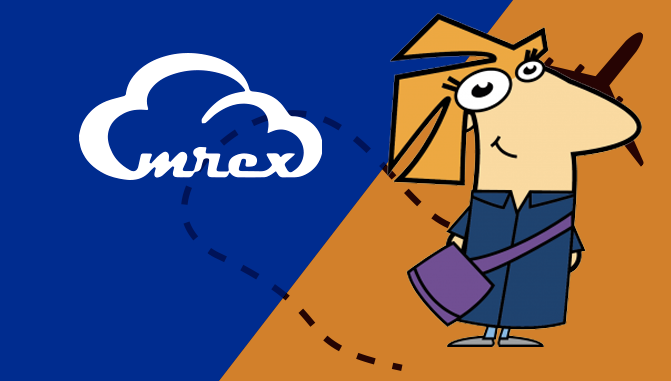 In 2017 the EU financed EMREX project (http://emrex.eu) presented a solution for the electronic transfer of student records between higher education institutions in Europe. EMREX offers a more effective and efficient data delivery reducing the administrative work related to issuing joint, multiple and double Degree diplomas. All in a legal, fast and secure way, taking into account local routines and student data integrity. A joint, multiple or double degree includes the courses from two or more institutions in two or more countries (see definition below) that students following a joint programme have participated in. A joint degree means the participating institutions divide the courses needed to a degree. A double degree or a dual degree is a way for the institutions to provide an opportunity to get the two degrees in a streamlined way resulting in a shorter study time than when getting the degrees separately. The production of the Degree Certificate or Diploma Supplement, required to present all courses included in the degree, is usually manually managed and based on signed originals for credentials transfer. It is a time consuming process both for a student — to receive the transcript and to deliver it the home institution — and for the administrator there — to register the records in the local study documentation system. The EMREX solution simplifies the administrative processes around issuing joint, multiple or double degrees by enabling the secure transfer of study records between institutions without the need of paper. With the help of EMREX a student can initiate the transfer of all data available from the original transcript digitally (including course names, credits, grades, levels etc.) to the home institution system from which a combined Certificate or Diploma Supplement (DS) is produced. The secure, double verification process means that no original papers will be needed and thus the administration can be fast and minimized. The digital handling and transfer of the course information to the Certificate or DS also excludes the possibility of human errors, which increases the security of the process. It should be pointed out the EMREX solution only provides a transferring mechanism. It is not a Student Information System and it cannot issue diplomas, instead, requiring only a minimum of adherence to international standards for the communication, it connects to virtually any system to supply the information. The programming needed to connect a local system is reasonable for the purpose and the generic code produced within the EMREX project is available as open source. EMREX has been introduced in Sweden and Poland. Both countries are represented as partners in the EMREX project (the Ladok Consortium in Sweden and the University of Warsaw in Poland) and have had the solution tested and put into production. 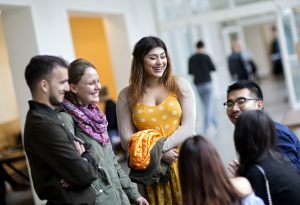 The administrative scenarios including join/multiple and double degrees may vary between countries and even within countries. Let us have a look at these two examples. According to a report from the Swedish Council for Higher Education, “A picture of the internationalization of the University Sector” (https://www.uhr.se/globalassets/_uhr.se/publikationer/2015/uhr-en-bild-av-hogskolans-internationalisering.pdf), more than half of the Swedish institutions (23) states in their ECHE applications that they have agreements with foreign institutions regarding “double/multiple/joint degrees”. A few more (25) indicate that they have students “involved in double/multiple/joint degrees”. The exact number of joint programs Swedish institutions are involved in is not possible to determine as it may be as the same programme may involve multiple Swedish institutions. According to the available data, 2 372 students participated in joint programmes at Swedish institutions during the academic year 2012/13. Of these, 1 749 were international students and 623 domestic ones. It is not always a Swedish institution that issues the certificate resulting from studies within a joint program as this depends on how the agreement is stated and if the degree issued should be a joint/ multiple or double degree. When a Swedish institution does issue the certificate, in almost all cases the Swedish student information system Ladok is used. Integrated in the EMREX network, Ladok can download student records transferred from any connected source. If there is no need for crediting or assessment of what the foreign courses correspond to locally, the data can be used directly in a certificate. First and second degree studies and unified master’s studies may be jointly conducted by different universities and research institutions, including foreign universities and research institutions, on the basis of their agreements. The object of the agreement may be to conduct studies in the field of education and training, in which the basic organizational units of Polish universities, which are parties to the agreement, have the right to conduct studies at the level of education not lower than the level specified in the agreement. Graduates of the studies referred to in p. 1, may receive a joint diploma (…). In practise, however, still more popular are multiple diplomas, issued separately by each involved institution — one of the reasons might be an extra administrative burden involved in issuing a really joint diploma. According to http://erasmusplus.org.pl/wp-content/uploads/2014/07/wspolne-studia-BSkibinska.pdf (data from November 2014), a total of 933 foreign students studying at 40 universities were implementing part of the path of joint study in Poland. The study also states that 273 local (domestic) students studying at 38 universities were implementing joint studies. More than 50 Polish Higher Education Institutions use the Student Information System USOS (http://usos.edu.pl). The developers of USOS integrated the EMREX solution with the system. In Poland, differently than in Sweden, there is no one central system like Ladok, every HEI keeps own installation of USOS. The EMREX still works very well —the students of the institutions participating in the joint programme can transfer their achievement data and thereby make it easier to issue diploma and diploma supplement containing courses from all institutions. one or more national diplomas issued officially as the only attestation of the joint qualification in question. In other contexts only option b, a model without national diploma, is called a “real” joint degree while the others are called double or multiple degrees.